Here is a spotting guide and directions, along with some additional information. So, here is a reason to bring your long lenses, and a high frame rate body (that old K5 or K3). Not been there (yet), but there is parking and the viewing point(s) are as close as a 5 minute walk. 3 hours from Las Vegas, and the closest accommodations are in Lone Pine, CA which is an hour away to the west. On my list for the next time I go to Death Valley. Since when is an F-16 a 'Viper' instead of a 'Fighting Falcon'? 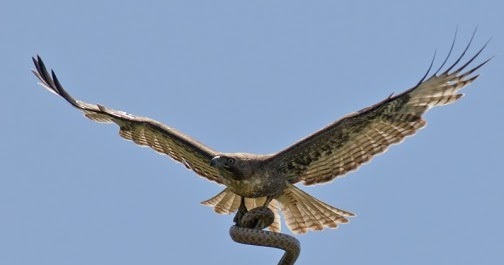 Don't vipers slither on the ground, whereas falcons fly? Did I miss something? OK, don't answer that; I miss a lot of things. Did the USAF change its designation for some reason? By the way, some of those jets seemed a lot closer than you might get at a regular airshow. Hope everybody was wearing good hearing protection. F-16V (Viper) is a new variant of the Fighting Falcon Multi-role Fighter. 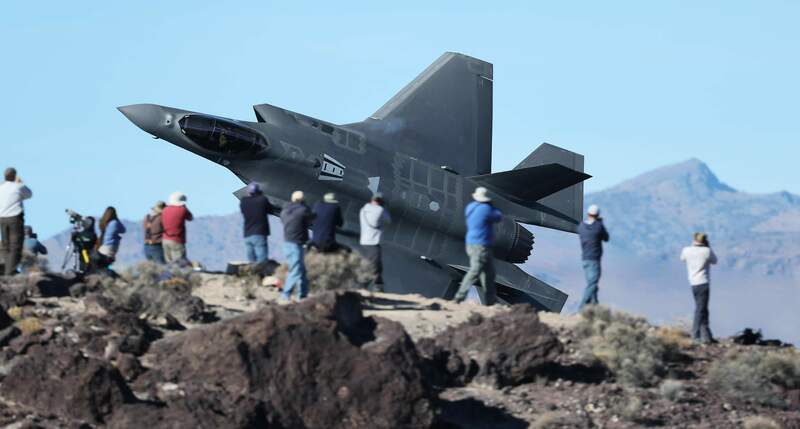 The systems are upgraded to better integrate with the F22 and F35. Hope everybody was wearing good hearing protection. ... and yes, we occasionally have a 4 pack of FA-18s come in over the house to land at the local airport, usually on the weekends (Friday or Saturday evenings), usually reservists doing a hop. They do shake things up, especially if they get to do a full performance take off (which happens from time to time). 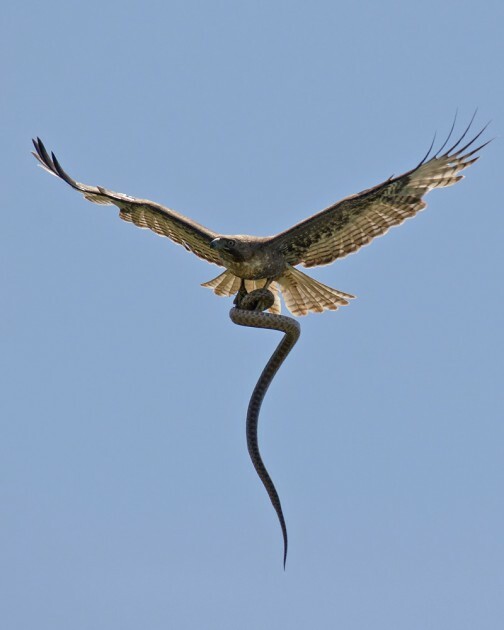 When an eagle snatches a snake then the snake flies, rather than slithers. Here is another video, that shows that at Father Crowley point, there is a real parking lot, with restroom facilities, and a fence. Down the road further are some pullouts, dirt roads leading to the closer vantage points that appear to be a quick walk to. Also, you really never know what and when will be flying, so it could be an all day affair. You can see that folks bring lawn chairs and coolers (water and food). In 2016, my wife and I were in Death Valley for a week. We ended up at Father Crowley Point. We had no idea there were combat aircraft flying in the area...Until they were right in front of us! Scared the bejaaaysus out both of us! It was very cool to observe them flying in the canyon areas, however. I didn't even try to photograph them. I sit humbly corrected. And now its made by Lockheed Martin instead of General Dynamics? Guess I've been doing the Rip Van Winkle thing. Still trying to wrap my head around what a viper falcon would look like. 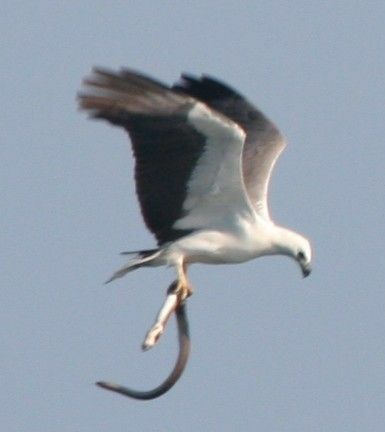 Snake with wings? Raptor with heat sensing pits in its face? Speaking of Eagles, I live in a town with an F-15E base. I've heard those folks talk with some condescension about the 'Lawn Darts' (F-16s). 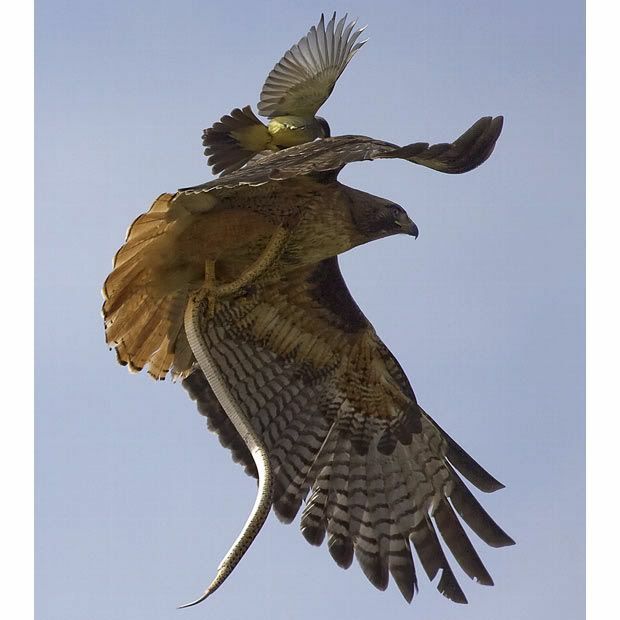 An Eagle carrying off a Viper would suit their sensibilities quite well. I have been at my local ski area, in the nearby Cascade mountains, sitting on a ridge taking a break, and seen military jets fly a few hundred feet below where I was sitting, through the pass like that. They come out of nowhere, blast by, and disappear as they thread their way through the mountain peaks. General Dynamics was bought out by Lockheed Martin. The F-15 series of aircraft are now built by Boeing since they bought out McDonald Douglas. The term "Lawn Dart" is best used for the "Lancer" or B-1. Back when the Museum of Flight had their summer Flight Fest get together, I saw a "Lancer" pilot with a Lawn Dart patch - it was held on by hooks and loops (aka Velcro) so the AF upper echelons would not see it. Actually it was a few years ago. I haven't been skiing for a few years. And were probably from Whidbey. When they flew by I could see the guys in the cockpit. Ah, the EA-6 Northrop Grumman Prowler. The same function as the Growler, electronic counter measures. The term "Lawn Dart" is best used for the "Lancer" or B-1. The F-15 pilot I was talking to said his compatriots called the F-16s 'Lawn Darts' because they were small (compared to an F-15) and were found sticking into the ground with some regularity at that time (there had been a few crashes). OK, I promise no more posts on this topic. They come out of nowhere, blast by, and disappear as they thread their way through the mountain peaks. Just imagine if you're the bad guy on the receiving end of an attack. Clear skies, bang you're dead, clear skies.